For all of my customers and models who have allowed me to take some wonderful pictures, ... there is a new way to get copies of your pictures. You no longer have to go down to Walmart or CVS... you don't even have to print them out from facebook. You can get a quality print send right to your front door. 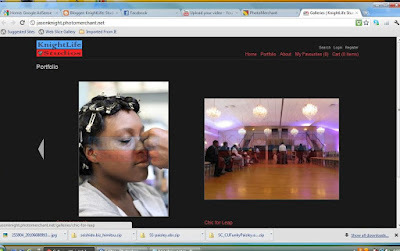 Just go to JasonKnight.Photomerchant.com and look for an album with your event and print your heart out. If your wondering a portion of that money does go to me. But for a limited time you can save by printing from this website. Enter the Coupon code: fallsavings and save 25%. Also any order over $50 will get a 10% discount. so order now! Thank you and God Bless you.